Thank you for testing this rifle. I have been watching for these to come out, and am glad that you left your impressions. I look forward to trying one myself. 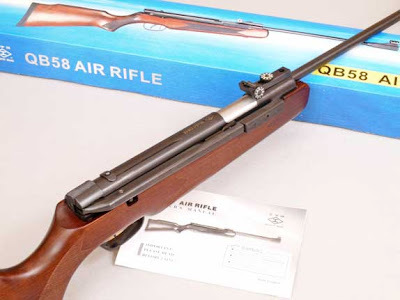 I already have a QB-88, which is a similar platform (mid-power, sidelever, traditional wood stock, open sights...etc), and though it is by no means the "best" gun in my collection (for worth, finish, technological innovation...), it is by far one of my favorites to shoot because it is just so "user friendly" because of it's small size and weight and ease of cocking. Here's hoping that the -58 will be a good stable mate! Got one for my self. The gun gave trouble the very 2nd day by not loading, the release was not needing the trigger it was loose. Got a replacement spring and now its fine. Hope to see its performance in the coming weeks.